This series has concluded. Was a great kick-off series to building the Unveiled Beauty: Cultivating YOU! brand in the Twin Cities. 3BOSSES was a proud Sponsor & Special Events Producer for the series, working closely with Visionary for the series – Lisa Harris with Fashion Meets Poetry. 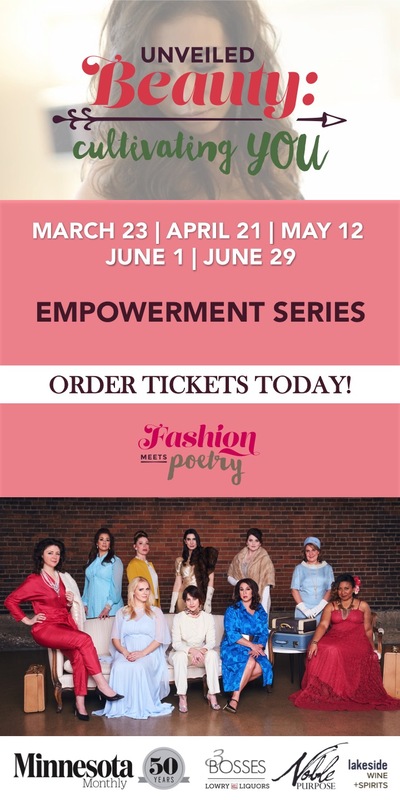 The Fashion Meets Poetry Movement and Unveiled Beauty: Cultivating YOU! empowerment series is a continuation of the publication of Lisa’s book Unveiled Beauty, Handwritten Stories from a Poetic Heart. The 5 event series featured 10 Speakers, sharing stories of courage, beauty and bravery. 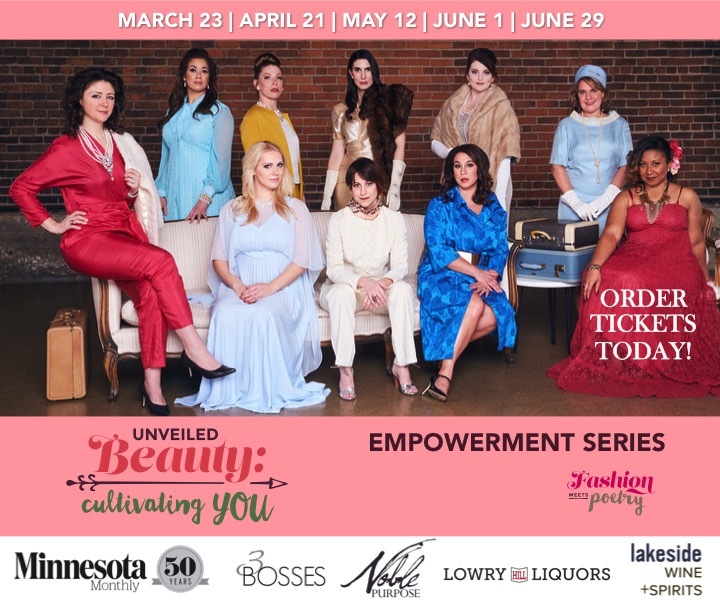 This series was unlike any other empowerment series in the Twin Cities, and helped fuel continued initiatives for our client’s brand and movement.